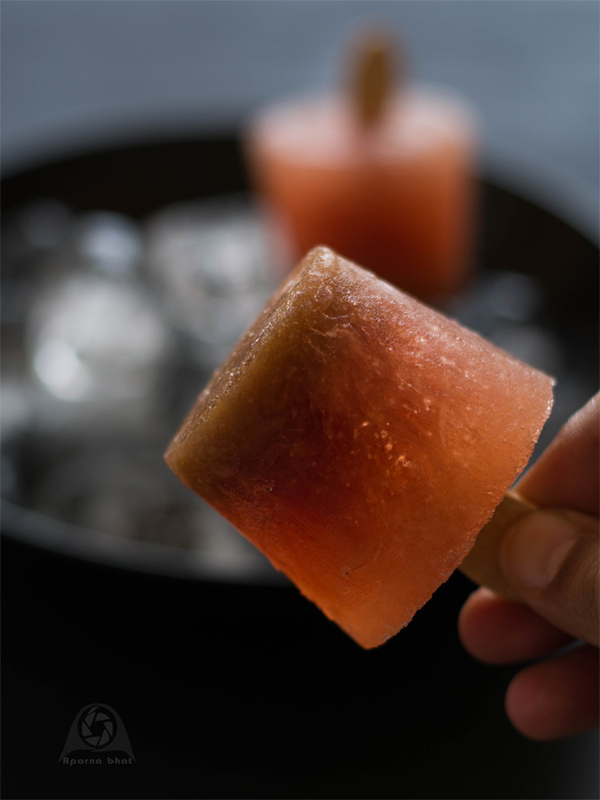 With the sweltering heat out there, I cannot get enough of home made popsicles. These recipes are super fun. While preparing Pudina Chaas popsicles, I realized how easy they are to make at home and so cheap. Moreover you can get creative and decide on the ingredients that goes into this treat. I remember a rasam candy idea by one of the FB friend who had posted her creation in the foodgroup there. I decided to give this idea a try. 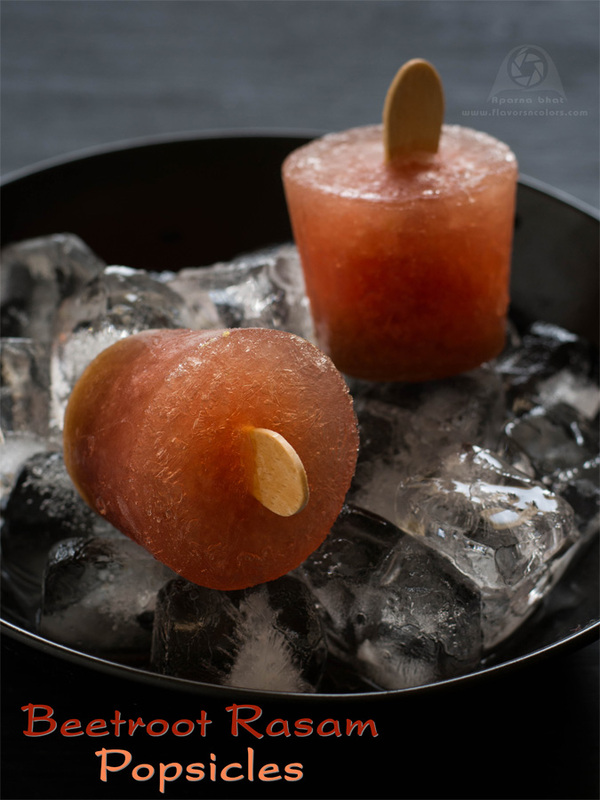 So yesterday night after serving beetroot rasam for dinner, the rasam leftover got a summer makeover ... delicious tangy popsicles,,, a unique frozen summer time treat ~ apt for Rasam lovers! Try them and surprise your family and friends. To know how to prepare beetroot rasam click below link. Just make a note to add about 3 tbsp jaggery, to make it kid friendly. Allow the rasam to cool down completely. If you prefer to strain the rasam you may do now. I used Dixie cups as moulds to prepare these popsicles. If using Dixie cups follow these steps : 1) Pour rasam in each cup and wrap the top with a piece of aluminium foil. 2) Place it in freezer for 2 hours. 3) After 2 hours remove all the cups out. 4) Make a small slit with knife in the center of each aluminium foil covering the cup. 5) Place an icecream/popsicle stick into each slit. 6) Put them back in freezer and freeze them overnight. You may prepare them in popsicle moulds too and cover it with popsicle mould lid that comes along with it. No need to remove them out after 2 hours in this case..just freeze them overnight. Remove the cups out next day. Take out the aluminium foil and give a small cut into the lip of the cup. 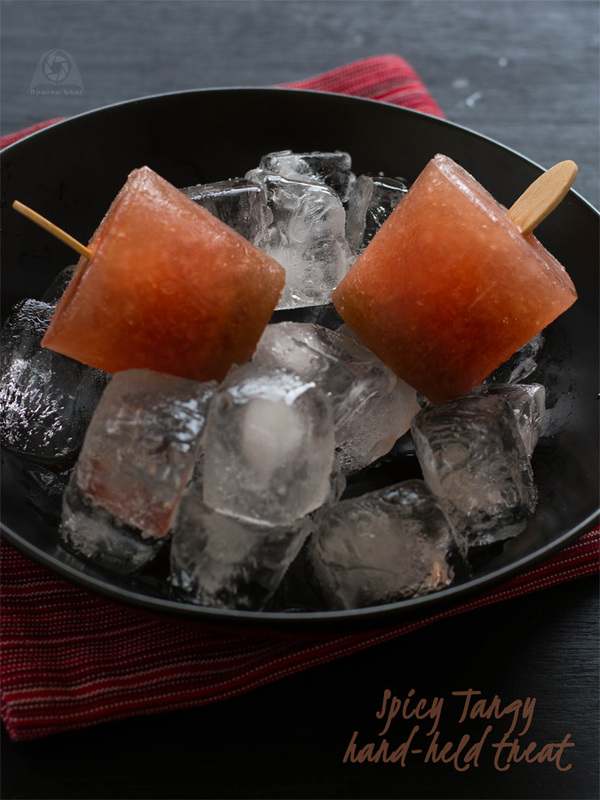 Peel the Dixie cup off the popsicle and enjoy your chilled rasam flavor candy!